Stormblood, the eagerly anticipated second expansion for Final Fantasy XIV, delivers much of the same and the expected, but at a level of quality that makes it a recommended title for any RPG fan, MMO or otherwise. Players can now progress their characters to the new cap of level 70; explore six new maps on the ground, in the air, and underwater; take on eight new dungeons and two trials; and, with the addition of patch 4.01, delve into the space between worlds in the new Omega duty. 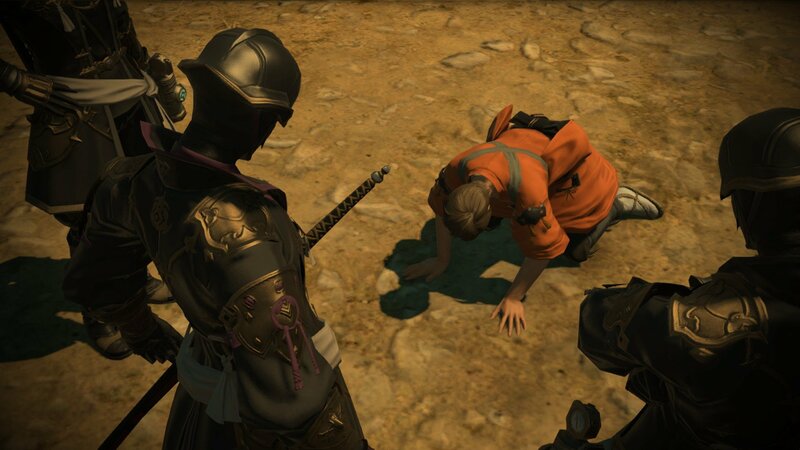 The overarching themes of Stormblood are oppression and resistance, and it feels like the writing team has really found their feet when telling a story that is grounded and very human. 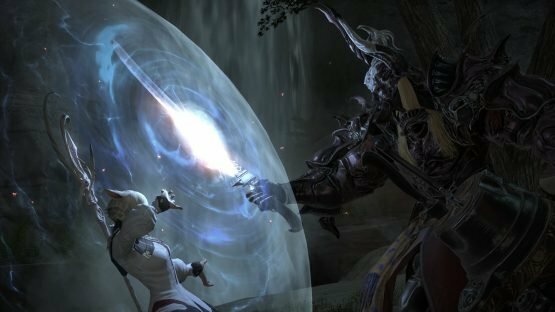 Where Heavensward focused on man against an ancient draconic enemy, Stormblood pits man against man, and explores the effects of a downtrodden nation that has given up all hope of resistance. Players expecting the Warrior of Light to waltz in and save the day will be duly disappointed. 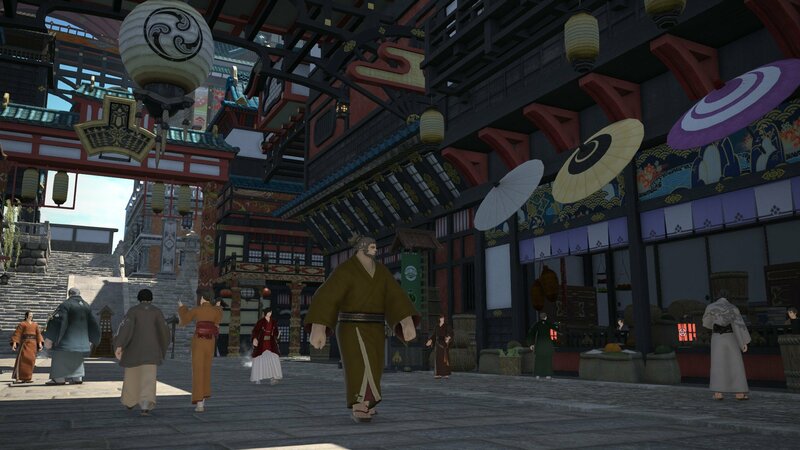 Stormblood’s main city is Kugane, a sprawling Eastern-style port town that acts as the new main hub of commerce and player AFKing. Players will arrive in Kugane early on in the expansion at level 61, and from there explore the Doma region. The city itself is comprised only of one map, compared to the two or three of previous main cities, but it’s fairly compact — containing several interesting locations from hot springs to the docks and royal gardens to the jumping puzzle tower. Boats can be seen moving off in the bay, and barges through the central canal. The marketplaces are neatly populated with merchant vendors in their stalls and the main strip contains the levequest and hunt NPCs. 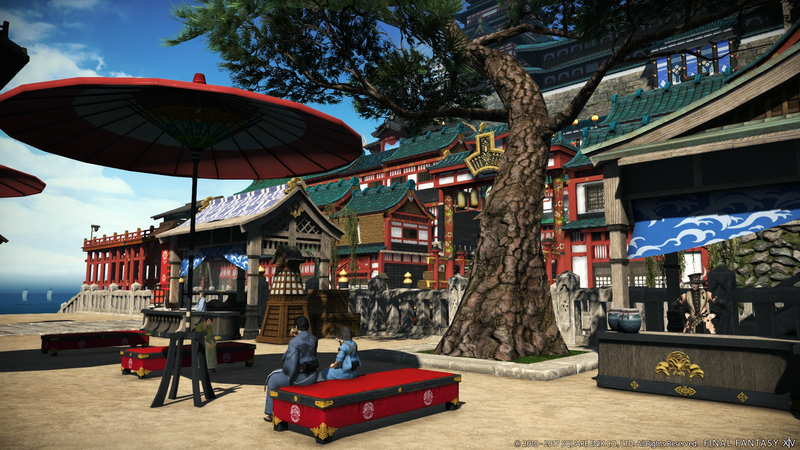 Arguably one of the focal points of marketing campaign, Stormblood introduces players to two new jobs: Red Mage and Samurai. To the surprise of many (and the disappointment of a few) both jobs take the role of DPS. Red Mage focuses on fast ranged bursts of black and white magic with some close-quarters fencer-like melee flourishes. The Samurai offers a calculated series of smaller attacks followed by large, hugely damaging strikes. I’ve had very little time for either while focusing on my main job (Summoner) but both play very well and their skills have a certain animation quality unmatched by the existing jobs, as is normal for character classes introduced in MMO expansions. The main advantage of telling a Final Fantasy story in an MMO is that you have an abundance of time in which to explore and grow the world and the characters within it. Where a single-player RPG may have between 30 and 50 hours of narrative, FFXIV now has several hundred hours of story throughout its main scenario, dungeons, trials, and side quests. Players willing to put in the time to immerse themselves in the world of Eorzea may find the greatest Final Fantasy story, and at the very least the most expansive. But therein lies the issue of FFXIV’s narrative structure: in order to experience Stormblood’s content, a player must have played through the entirety of A Realm Reborn and Heavensward, including all story patches up to the second expansion. Square Enix’s decision to force this requirement on players does mean that the existing player base is heavily invested in FFXIV and theoretically should be at a certain skill level (though this is sometimes very debatable). Boosters are now available at an added cost to skip the original story right up to the beginning of Stormblood, and to level up your character’s job to 60 — but this doesn’t really address the issue. just allow people to buy around it if they want. But, the entirety of the story is still fantastic, so does come highly recommended. Not to mention the tweaks and changes that improve 4.0, introduced with Stormblood, apply to the base game forwards. Focusing on removing complications and making it more accessible than ever, now is definitely the best time to give it a go. But a new player wanting to experience Doma and Ala Mhigo first has a lot of reading, a lot of running from A to B, and a lot of queuing to do. The PvP battle system has also been overhauled with 4.0, making it simpler for new players to jump in and more streamlined for experienced PvPers. The available skills have been reduced to a small collection of job skills, a few role-specific skills, and a choice of 3 traits. Some of the skill usages have been completed re-worked for PvP and jobs play very different from their normal PvE skill rotations. Summoner, for example, completely loses their pet in favour of focusing on the Dreadwyrm trance and summoning a temporary Bahamut to assist in additional damage per skills. This much-needed overhaul takes the attention away from carefully performing a set rotation and places it on careful use of select skills, awareness of the environment and your party members, and keeping an eye on the flow of battle. With the additional bonus of standard levelling experience gained per match coupled with much shorter queue times, PvP has never been so welcoming. Prior to 4.0 I would dabble in a few matches every week or so, but since then I find myself queuing for both the Frontline daily and a couple of Feast matches. 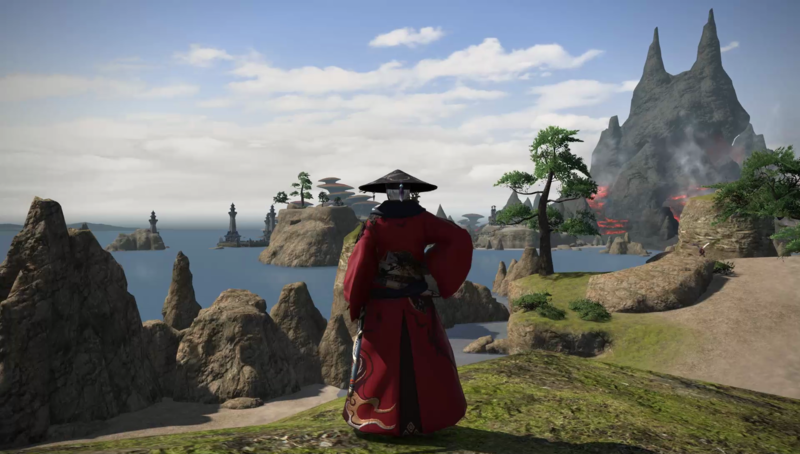 In almost all aspects there’s never been a better time to jump into the world of Final Fantasy XIV than with the 4.0 Stormblood update. 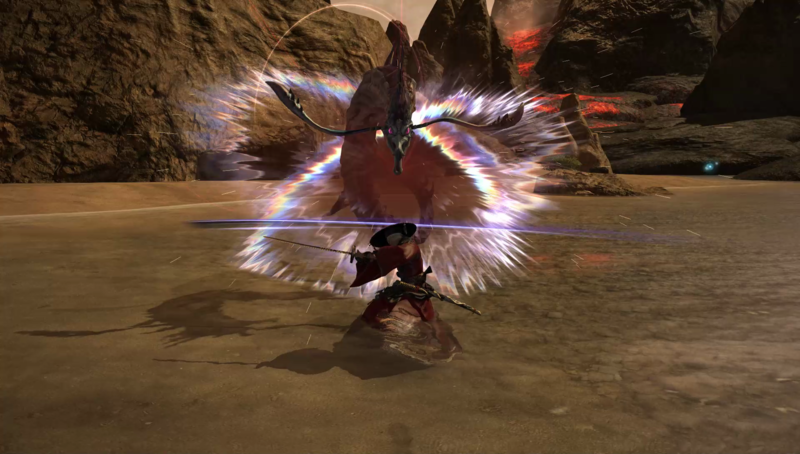 In many ways Stormblood is simply the latest Final Fantasy game, filled with a great story, terrific characters, highly polished gameplay, and oodles of that unique Final Fantasy charm fans love. However, most of the Stormblood exclusive content won’t kick in until players are around the lvl 50 mark for the jobs, or lvl 60 for later stuff. A complete package of Final Fantasy XIV is available containing everything, but otherwise you might want to hold off for a while during your FFXIV adventures before diving into Stormblood. What’s new is great, and the updates to the base game are fantastic. If you’re into Final Fantasy XIV, you’re definitely going to want Stormblood, but it’s not for everyone just yet.